Blog Have Your Online Passwords Been Stolen? Here’s How to Find Out. This is why we keep beating the drum for password managers like 1Password and LastPass. They make it easy to create and enter a different random password for every Web site, which protects you in two ways. But password security hasn’t always been a big deal on the Internet, and many people reused passwords regularly in the past_._ Wouldn’t it be nice to know if any of your information was included in a data breach, so you’d know which passwords to change? A free service called Have I Been Pwned does just this (“pwned” is hacker-speak for “owned” or “dominated by”—it rhymes with “owned”). Run by Troy Hunt, Have I Been Pwned gathers the email addresses associated with data breaches and lets you search to see if your address was stolen in any of the archived data breaches. Even better, you can subscribe to have the service notify you if your address shows up in any future breaches. 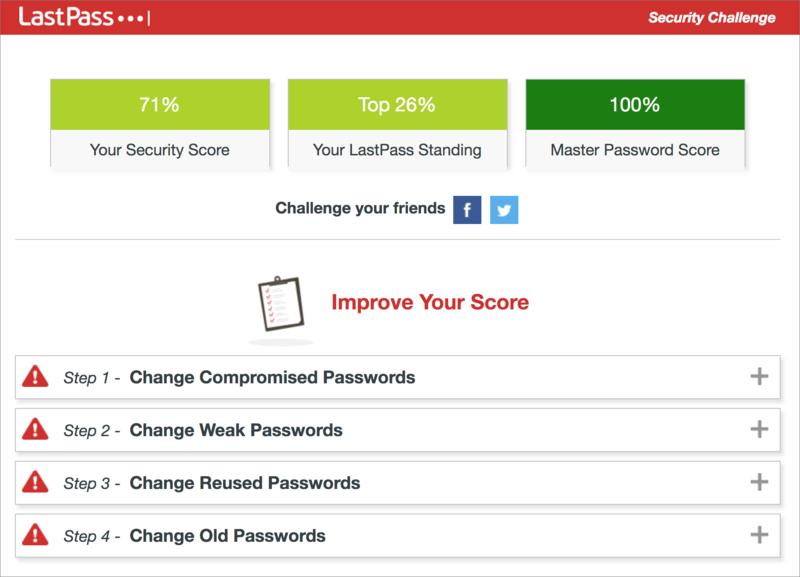 LastPass provide essentially the same information through its Security Challenge and rates your overall security in comparison with other LastPass users. It suggests a series of steps for improving your passwords; the only problem is that you need to restart the Security Challenge if you don’t have time to fix all the passwords at once. Regardless of which password manager you use, take some time to check for and update compromised, vulnerable, and weak passwords. Start with more important sites, and, as time permits, move on to accounts that don’t contain confidential information.